But will it come to the US? According to Autocar, Honda has all sorts of big plans for small electric vehicles. Last week, the near production ready E Prototype was revealed, itself a more evolved version of the Urban EV concept. But why stop there? Why not maximize the use of its platform for more EVs, such as a production version of the Sports EV Concept? Well, it looks like that could happen. Is that an outright acknowledgment a production Sports EV is happening? Not quite, but no automaker executive would go on the record saying something that directly without there having been prior internal discussions on the matter. Above all, such a vehicle makes complete sense. This new EV platform, like any vehicle platform, was not cheap to develop. 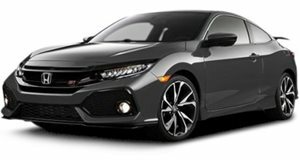 And because EVs are still relatively new to most car buyers, a flagship performance EV could be an ideal way for Honda to generate more attention and, hopefully, buyers. 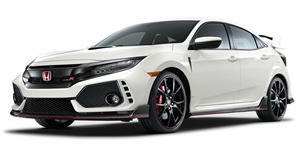 Think of what the Civic Si and Type R have done for the Civic lineup’s excitement factor. A production Sports EV could very well do the same for EVs. A closer look at the EV Sports concept reveals that the general design parameters of a production version are already there. Just look at the design evolution of the Urban EV concept to the E Prototype, which is said to be 95 percent production ready. We’ll be speaking with Honda this week at Geneva and hopefully we’ll learn more details, like whether either will come to the US.